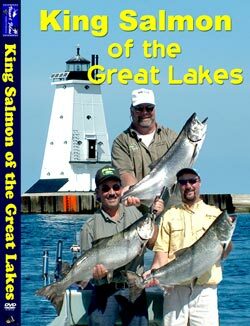 Ludington, on Lake Michigan, is world famous for it's salmon, steelhead, lake trout and browns. In this deep water port, trophy fish can be caught regularly if you are with the right skipper. Join us as we fish with Ludington's top captain and learn what to look for in spot selection, gear, rigs, lures, and downrigger techniques.